John Witherspoon was born near Edinburgh, Scotland on February 5, 1723 into a ministerial family. He went to the University of Edinburgh at the age of 13 and got his Master of Arts in 1739 and his degree in divinity 4 years after. John Witherspoon married Elizabeth Montgomery, and had ten children with her, but only five of them survived. In 1766, John Witherspoon was offered the job of being President at the College of New Jersey. He and his family moved to America in August 1768. As a college administrator, John Witherspoon was very successful. He helped get more additions to the library but pressuring trustees to buy more while adding the most modern scientific equipment for the school. He also encouraged professors to teach more mathematics and science, and he could also personally teach French to anyone who wanted to learn. 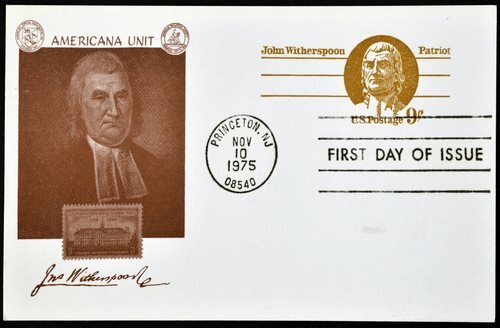 As the American colonies got closer and closer to Revolution, John Witherspoon promoted literary exercise and public speaking on current events to help create civil leaders for the next generation. The American Revolution forced John Witherspoon to put less focus on academics. Students were forced to evacuate and Nassau Hall, one of the building halls, was damaged by colonial and British troops. John Witherspoon was also drafted into many political duties. HE was involved in New Jersey committees of correspondence, and he also signed the Declaration of Independence and served on over hundred congressional committees. Two important ones included the Committee on Secret Correspondence and the Board of War. Witherspoon took a very active role in the debates regarding the Articles of Confederation. He also helped Set up the executive branch and created instructions for the American peace commissioners. Although Witherspoon was often away from the college, leaving Samuel Stanhope Smith, his son-in-law, in charge, the institution was never very far from his thoughts. While John Witherspoon was in Congress, he complained about how the value currency was dropping, which was hurting many institutions. He then received a large grant from Congress to help pay for damages to Nassau Hall. He also fought for military deferments for teachers and students, which would allow them to stay in school. When John Witherspoon returned in 1782 to full-time teaching, the college was in much better condition, although it was never fully fixed during Witherspoon’s lifetime. The rest of Witherspoon’s years were spent helping rebuild the college. Witherspoon lost an eye on a fundraising trip to Great Britain in 1784, and by 1792 he was completely blind. When his wife died, 68 year old John Witherspoon married a young widow of 24, who he had two daughters. On November 15, 1794 died at his farm near Princeton. 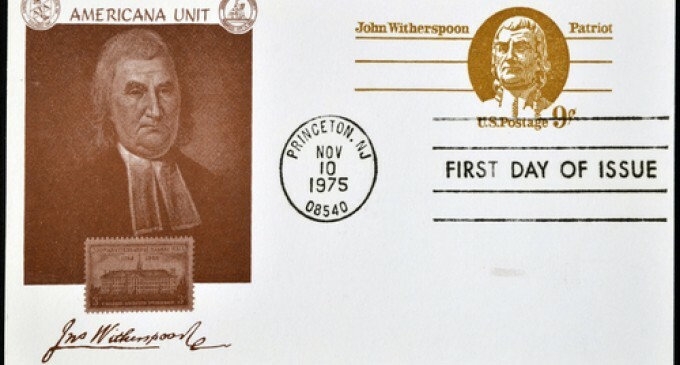 • John Witherspoon was a former president of the College of New Jersey, which later became Princeton University. • He was in prison briefly after a battle in Scotland. • John Witherspoon is an ancestor of the actress Reese Witherspoon.